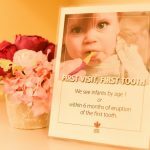 As recommended by the Canadian Pediatric Society, Canadian Dental Association, and the Canadian Academy of Pediatric Dentistry, children should have their first check up 6 months after their first tooth erupts or by their first birthday. 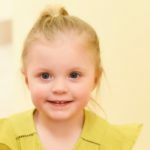 Establishing a “dental home” for children at an early age helps to identify early signs of dental decay and prevent dental disease from occurring. Dental decay is one of the most common infectious diseases in children today. 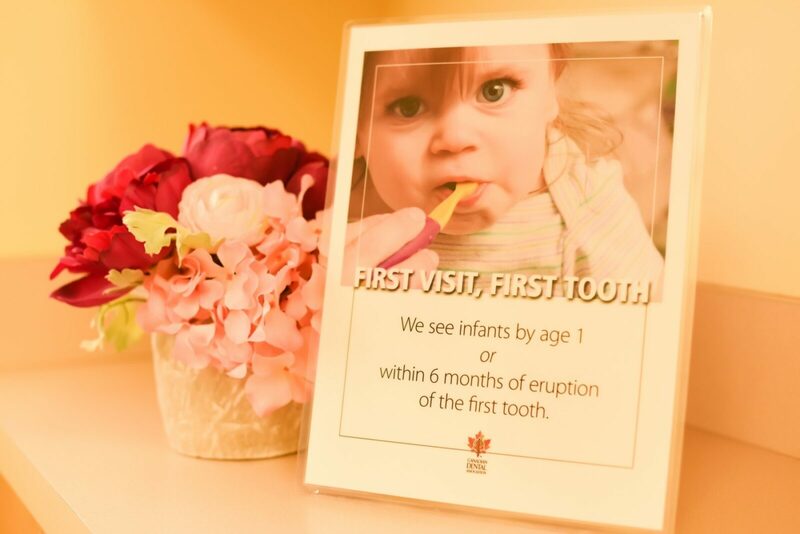 At Milton Pediatric Dentistry we are advocates of dental disease prevention and empower parents with the tools to do this by teaching them about prevention at all oral hygiene visits, particularly during the first visit. A questionnaire filled out by parents is reviewed and a “Caries (Cavity) Risk Assessment” is done. 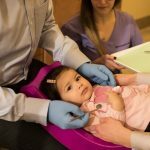 This is a well studied and documented tool to predict a child’s risk for cavities based on factors such as family history, diet and oral hygiene practice. The exam is done while the baby or toddler is in their parent’s lap, either with child in their parent’s lap or via the “knee to knee” exam. This is where the dentist and parent sit knee to knee. In the comfort of the parent’s lap, with our calm and kind approach, and friendly environment, children do very well for their first exam and parents are pleasantly surprised!